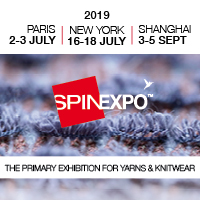 Leading computerized knitting machine manufacturer Shima Seiki Mfg., Ltd. of Wakayama, Japan, together with its Korean subsidiary Shima Seiki Korea Inc., will participate in the Preview in SEOUL exhibition in Seoul, Korea next month. According to Shima, recent consumer trends such as increased online shopping activity have changed supply chain requirements, with growing demand for mass customization and short turnaround. The combination of Shima’s pioneering Wholegarment knitting technology that allows a garment to be produced in its entirety without the need for linking or sewing afterwards, along with the company’s SDS­ONE APEX3 3D design system yields revolutionary game changing flexibility in the knit supply chain to support such trends, the company explains. At Preview in SEOUL, the latest version of the APEX3 design system will be on display. At the core of SHIMA SEIKI’s Total Fashion System concept, ultra­realistic simulation capability on APEX3 allows virtual sampling to minimize the impact that the sample making process has on current manufacturing in terms of time and cost. With this new manufacturing model, the production cycle can be shortened to such an extent that on demand production is possible without being limited to seasonal cycles. This allows the product planning stage to be extended to allow more accurate analysis of consumer demand. Moreover, Shima says, virtual samples can be used at the retail level to gauge consumer acceptance of upcoming products, data for which can be used for forecasting demand. Such feedback can be used to adjust production, and optimize inventory to prevent leftover stock that would otherwise go to waste. If stock runs out mid­season, on demand production capability of Wholegarment knitting can also replenish inventory to prevent lost opportunity. In such a way, the Total Fashion System maximizes profit while achieving zero inventory loss, zero leftover stock, zero lost sales opportunity and most importantly zero waste through smart, speedy and sustainable production.